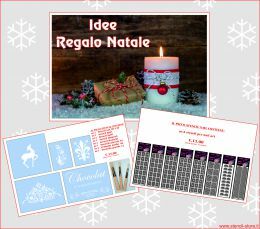 F.lli Gregorio Snc, long-term experienced in the stencil production field, is specialized in realising artistic ornaments, for both inner and outer walls. The company uses computerized instruments and automated procedures that allow personalized ornements in different sizes. This way high artistic and creative quality is granted. F.lli Gregorio creations, representing the synthesis of Stencil ancient art joined to modern technologies, adorn quite different ambients by creating artistic atmospheres of intense involvement.